Today was another sleepy day with sick kids and lots of naps. I made a chicken soup for dinner that was the most colorful soup I'd ever made. 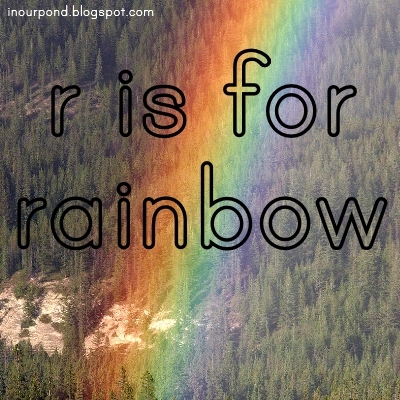 It had yellow carrots, green broccoli, orange carrots, green peas, purple carrots, and yellow corn. We talked about all the colors as we ate. One of our focuses this week was the water cycle. We read books and talked about it. We also did the "rain in a jar" experiment. The one on the left is the first one we made. It has boiled water on the bottom, shaving cream on top of the water, liquid food coloring on the shaving cream, a seal of plastic wrap, then a bag of ice (frozen apples) on top. I think the first jar looked more realistic but the shaving cream got in the way of the rain process. 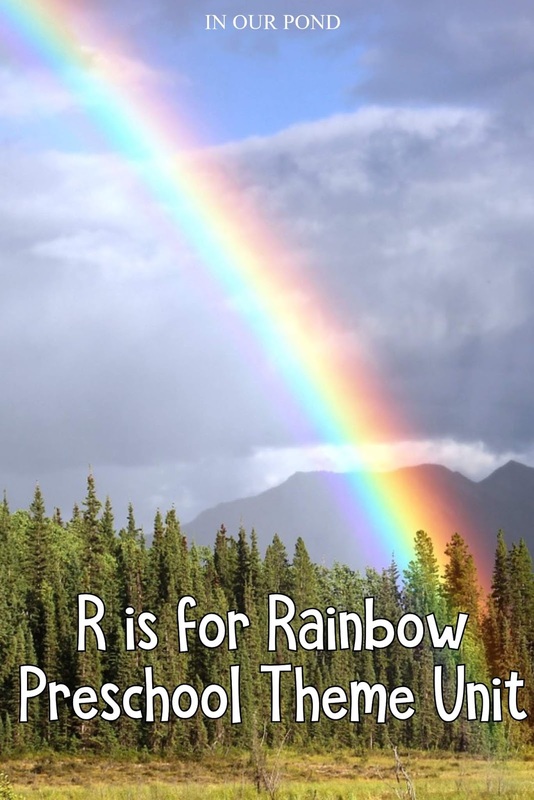 It worked but it was way too slow for preschoolers. 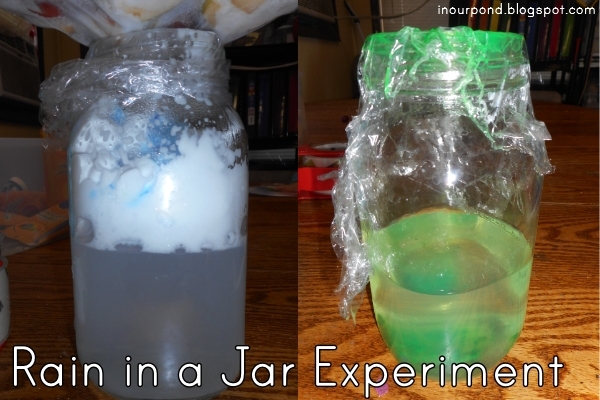 The jar on the right is our second attempt at the rain cycle. This time, I kept it simple. Boiling water topped by plastic wrap, which I had smeared with paint. Just like the other one, I topped the jar with ice to speed up the condensation process. This jar worked much faster, and it was easier for the kids to see the rain falling in the jar, bringing droplets and chunks of paint with it. In the future, it would be fun to put yellow water in the bottom and blue or red paint on the top, just to reinforce the color mixing again. We took a 2 hour road trip to Hobby Lobby today to stock up on craft supplies for Christmas. We mixed paint in bags today. 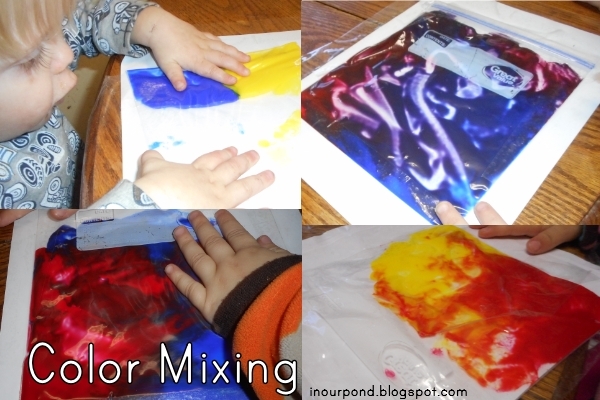 Each of the kids got a different color combination and had lots of fun squishing it around. Tadpole made green, Skimmer made orange, and Dragonfly made purple. 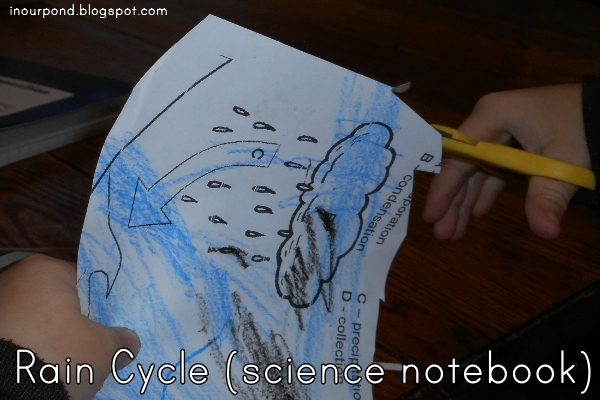 Dragonfly colored a picture of the water cycle for her science notebook. Before we glued it in her book, she insisted on cutting it out. It's been neat to see her "preschool" skills grow as we've progressed throughout the year. Sometimes when she's playing, I'll catch her chanting, "Dots, dots, not a lot." Dragonfly enjoyed her paint bag so much that I made her another squish bag after her nap. She loved feeling it, but she also practiced writing a few letters. 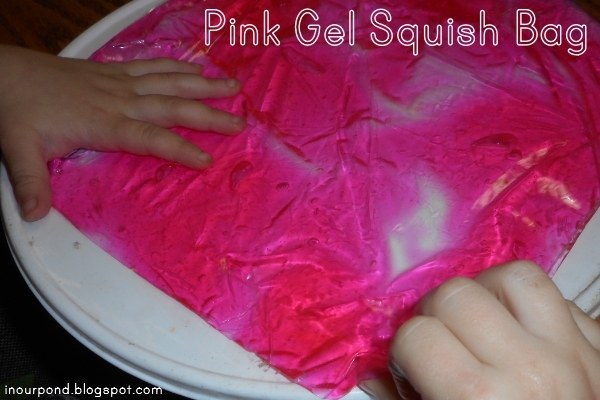 The "squish bag" is made from cheap (dollar store) hair gel and pink food coloring.